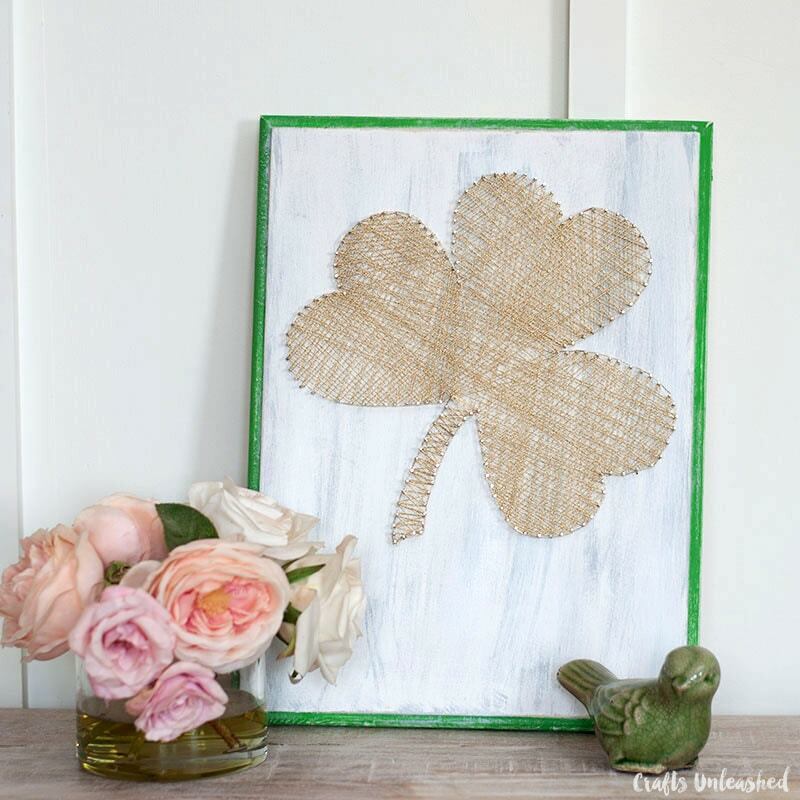 Today I’m sharing a fun and easy String Art Project I did for Crafts Unleashed! It’s a great St. Patrick’s day addition to my home decor. I love working on new pieces for the holidays. Check out this pumpkin string art project I made back in the Fall, I just loved it. I knew I wanted to make several more this year. 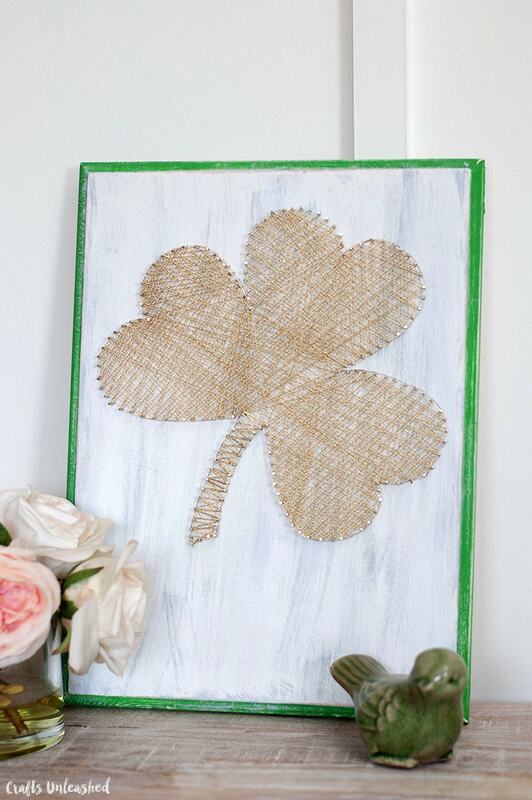 When the idea came up of making some string art for St. Patrick’s day, a shamrock art project came to mind right away. What I love about string art projects, is that they are pretty inexpensive to make. But they look amazing! 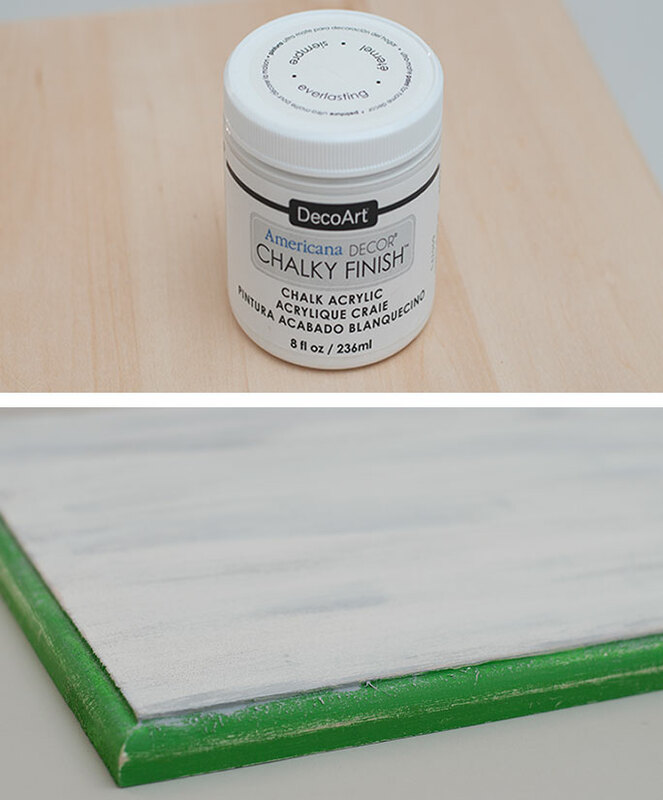 I started off by painting the whole piece of wood white, then once it dried I added the green around the edges. I wanted to give it an “aged” look so I lightly painted gray over top of the wood. Once it dried, I sanded the whole piece to give it a distressed look. 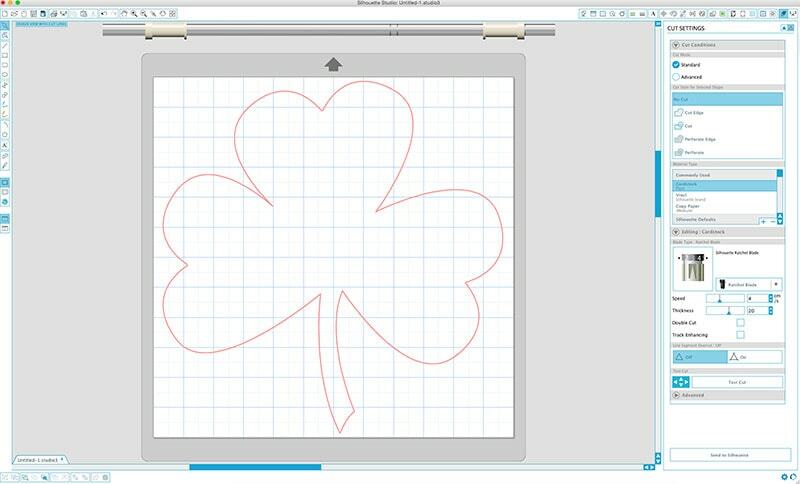 I found my perfect shamrock shape in the Silhouette library and cut it out on cardstock. I used the 18 gauge nails for this piece. I just picked a spot to start, then I went around the whole outside of the shamrock. Try not to space them too far apart or too close. Step 4 – Add your String. I found this beautiful gold string and knew it would be perfect to use. It was perfect since I didn’t want to go with a traditional green shamrock for this piece. I tied off my string on one of the nails and then I started filling in the center of the shamrock. Working a section at a time. I honestly don’t think there’s a wrong way to do this part. After I filled in the center, I started my way around the edge of the shamrock. Voila! All finished, I had this shamrock art project done in about an hour. This would be a fun craft to do at a girls night! I told you this was a super easy project to do! 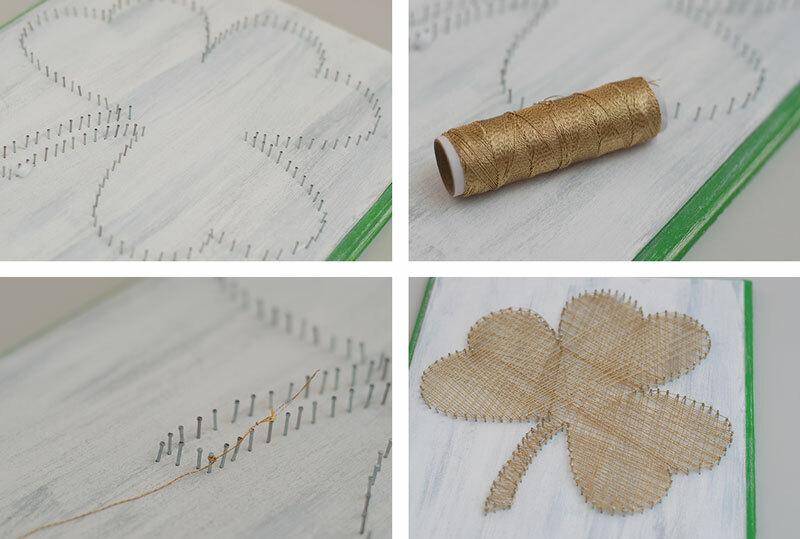 The possibilities are endless with what kind of string art projects you can do. 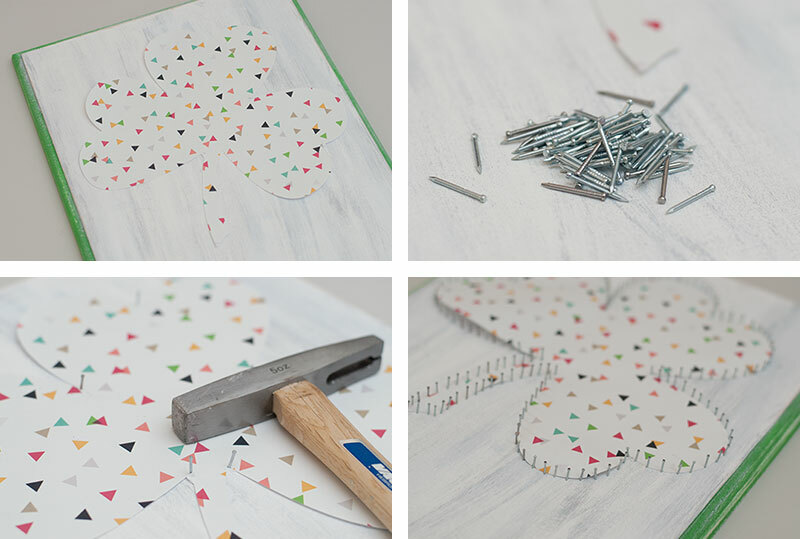 This easy heart string art tutorial is another great project. This will look great sitting on my mantle in the den. 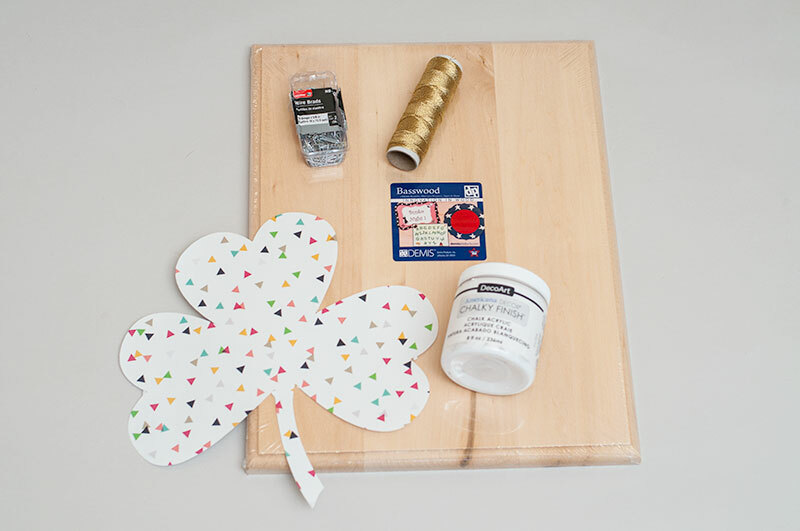 Now to decorate around it… maybe a couple more St. Patrick’s Day crafts? !